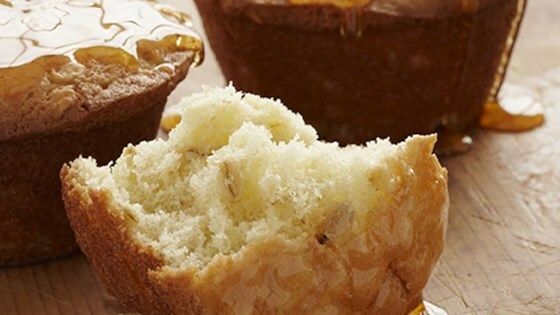 "These Golden Oatmeal Muffins, made with Duncan Hines Golden Yellow Cake Mix, are absolutely delicious -- especially when served warm with a little butter. Why not also try them with your favorite preserves?" Preheat oven to 400 F. Grease 24 muffin cups or line with paper baking cups. Combine cake mix, oats and salt in large bowl. Add milk, eggs and melted butter; stir until moistened. Fill muffin cups two-thirds full. Bake 13 minutes or until golden brown. Cool in pan 5 to 10 minutes. Loosen carefully before removing from pan. Serve with honey or your favorite jam.